Edelrid Parrot 9.8mm single rope. Edelrid Parrot, a robust sport climbing rope. Made from a mixture of yarns left over from the manufacturing of other ropes in order to reduce it's ecological footprint. The funky pattern means that a unique rope is manufactured every time. 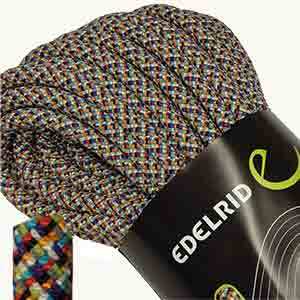 The Thermo Shield treatment has been in use at EDELRID for more than 20 years. Thermo Shield is a thermal stabilizing process for the rope that gives it the famous EDELRID handling characteristics and feel. 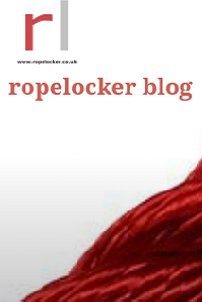 The rope undergoes a heat treatment cure to stabilize and harmonize the individual yarns. 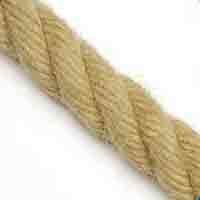 This treatment cannot be washed out and ensures a supple rope throughout its working life.